Producing music mechanically or without the direct involvement of human hands has been a fascination to man from a very early age. The earliest mention of such a mechanism has been recorded in 875 AD. 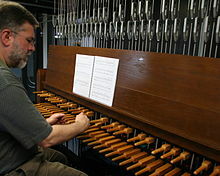 The instrument was called a water organ. It was a hydraulically operated device. Thereafter many other small and big developments in the field occurred. But it was in the 16th century significant developments were made. 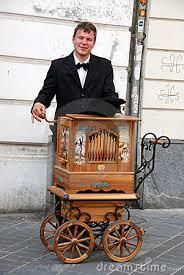 In 1502 a mechanical musical instrument called ‘barrel organ’ was introduced. This produced pipe music. It was operated by turning a handle. The handle turned a barrel which was fixed with pegs. These pegs opened valves to produce different preset pitches to produce a preset tune. This was an instrument mainly used by street musicians of the time. After this the carillons were developed. This consisted of a set of bells attached to a stationary tower. 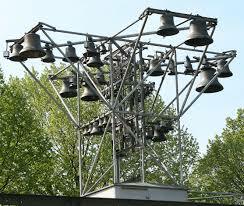 These bells were played manually at first. Then one ingenious carillon player attached a key board like mechanism to ring the bells in a preset series to produce an extremely musical chiming. Later, something like a piano roll was also used to produce preset tunes. After the development and modifications of the carillons, some watch makers began to think about making watches that chime to denote hours, half hours and quarter hours. In the second half of the 17th century a watchmaker by the name Daniel Quare succeeded in making a watch that chimed hourly. 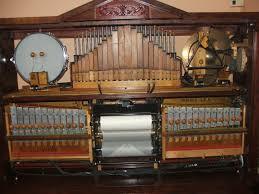 The 18th century was a land mark in the development of mechanical music. 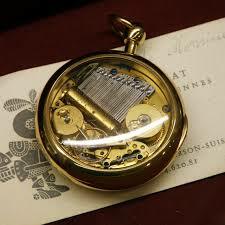 In 1786, a watch maker from Geneva, Antoine Favre, developed a musical watch. He took patent for this device that worked with the help of tuned steel teeth. 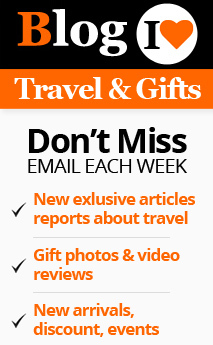 A number of small fancy articles that produced preset music f ollowed. 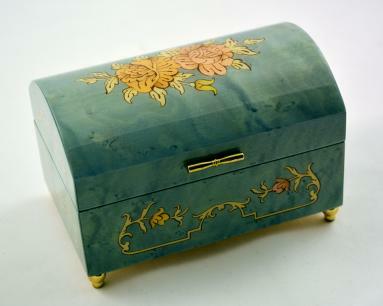 Towards the end of 18th century a variety of such devices called ‘music boxes’ were developed. They ranged from snuff boxes to jewelry boxes and toys. At first, the tuned teeth were screwed separately. Then the experts began to experiment with two or three teeth joined together, each tuned with a different note. At last they succeeded in creating a comb with preset tune. The teeth of this comb were plucked by small pins attached to a cylinder. This cylinder could be changed to have a different tune. 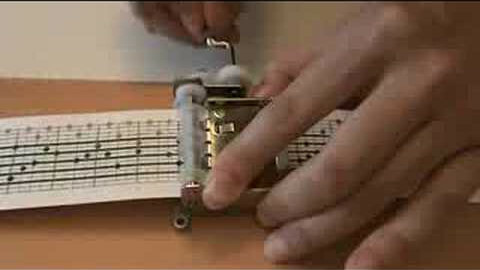 The experts in the field kept on adding innovations to the mechanical music. Throughout the 19th century newer devices kept appearing in the field at regular intervals. 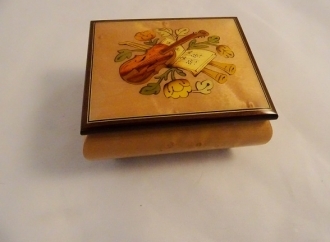 By the end of the century, musical boxes with a combination of the sounds of various musical instruments were developed. At the same time efforts were made to replace the cylinder with discs. In 1889 the ‘star wheel’ was introduced. The cylinder was replaced with a disk with numerous projections on it. This disk was rotated and the steel teeth were plucked by the projections on the wheel when it rotated on a pin. Another notable develo pment in the field was made at the end of the 18th century. They were called ‘singing birds’. This mechanism worked on a clock-work that moved a series of cams to control a plunger that produced a whistling sound. 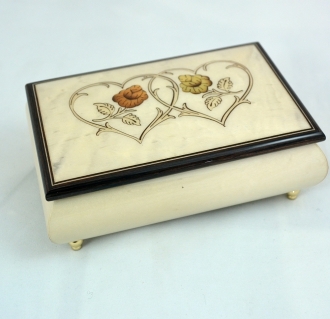 A miniature bird in a decorative box was fixed on the device. 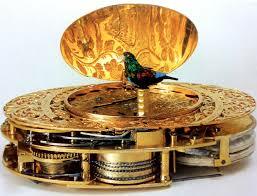 When it worked, the mechanism made the bird move while the whistling was produced. This gave the illusion of the bird singing naturally. This soon gave way to a lot of innovative décor items in the shape of life sized singing birds in cages. 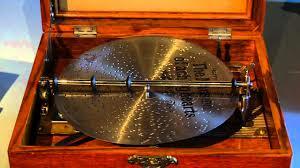 The fag end of the 19th century witnessed the development of larger automatic music players which were programmed using punched cards and rolls. These punched paper rolls were easy to store a nd use. They could be used to store a wide range of music. These bigger organs or organettes were used in dance halls and public places. The next step in the development of mechanical music is the development of devices called ‘Orchestrions’. These could replace a complete orchestra. They had the sounds of various wind musical instruments and percussion systems. Most of them were coin operated devices. So they were termed as ‘Nickelodeons’. Then came the age of gramophones and recorded disks. Then music cassettes which could be played using record players came into existence. Now music is stored in CDs and the like. The mechanical music has evolved much thereafter and now has reached robots playing music. Mechanical music is an endeavor to provide all kinds of music to everybody all over the world.